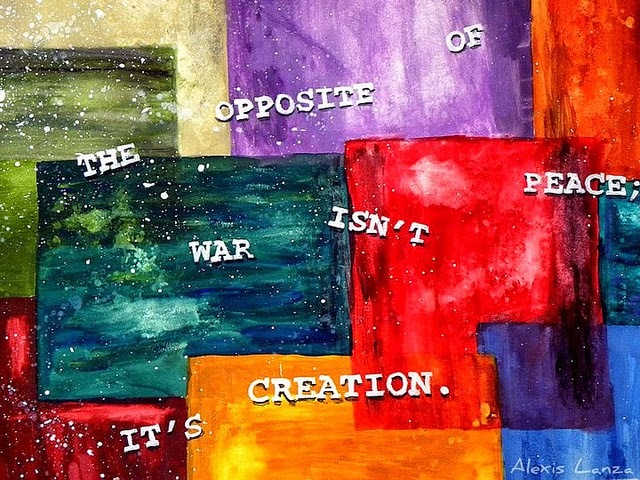 "the opposite of war isn't peace it's creation"
This is my favorite quote from my number 1 musical, RENT. If you have not seen it I strongly recommend you do! I have gotten into the habit of reading quotes for inspiration for my blog. And this one was quite fitting for my past week. I am starting an Art club in Bella Baia Mare (yes, you are all invited!). In order to start this I need to actually practice what I preach, that is get creative!! And contrary to popular belief, art and artistic persuits are NOT relaxing or calming. Instead they are frustrating , you feel the constant need to improve to change and to evolve your abilities. The need to put what you had in you head onto paper to show things how you see them. This is why I believe that creation is in fact the opposite of war. That war is the negative use of our energy and that creativity uses our energy to create something new and beautiful. Think about it,I don't mean war on a huge scale, between countries but in our own personal lives. When we complain, gossip, intimidate these actions (and MANY MORE) create negative feelings with other people and within ourselves. But this energy could be turned and with an equally strong force to create something. It doesn't have to be a painting or a anything artistic at all. You can create many things in this world for example ideas, movements . Does something annoy you? Instead of using your energy to complain use it to find a creative solution. Can you now see that the results of creativity will have a more positive impact thus a happier one than the results of moaning. So look around you what negative situations can you change today with creativity? This is one of my favorite phrases to use when discussing the past and trying to see the logic of my past actions and those of others. I truly believe that it is a foreign land where what I did makes almost no sense to what I do now. I think that this a natural occurrence and that we evolve completely over time. For example many my values have changed, what once seemed so important to me are now replaced with others. So now looking at the decisions I made in the past if I was faced with them again I may decide differently. I don't mean that I regret my decisions, I don't. In fact I consider myself very lucky as regret is something that rarely features in my life. Over the past few days I have found myself reflecting on my past. How strange it is that only four months ago I toasted to the long and happy marriage of two lovely people in a beautiful hotel in Dun Laoighre. Before I came to Romania I had a regular routine little rituals of Friday pints or walks along the sea front. Back then before coming to Romania I wondered what my life would be like I thought it would be dramatically different and I was right. But I have settled into my life here , my daily routines are established. When I try to imagine my life if I had not come I cannot. Because the past is a foreign place for me and I did things differently there. I guess Romania has already changed me. I have suffered from this as far back as I can remember the month of January. I truly dislike January, a clean page it maybe but it is still my least favorite month! When I was younger I remember trudging back to school and knowing that all goodies would have been hidden away when I came home. In recent years the first days of work was like the mother of all hangovers lasting until the February came around. So my solution to January is similar to that of many of my contemporary's, make like a bear.... that is hibernate, refresh myself from the incessant party that was December and anybody who gets in the way of this gets growled at!! Needless to say I entered into my January in Baia Mare with similar expectations of all the previous years.My expectations no money, no chocolate and no motivation to get out of bed for anything other than necessary daily activities! But I have been pleasantly surprised! My Janxiety is not so bad in the world of EVS and Baia Mare. It is difficult to fret over the impending Mastercard bill when playing games with four year olds and trying to understand what Santa brought. And when I'm not working or planning activities there's lots of adventures to be had! This weekend I visited the Merry Cemetery where I found a new perspective on life death and remembrance. I once read that funerals are not for the dead but for the living and after visiting the Merry Cemetery I see a perfect balance for family to remember those who have left without creating a starry image not befitting to that person. With so many activities, mental and physical it's hard to wallow in the pits of January , although nobody can deny my valent tempts of wallowing and to hibernate! So now this bear is happy to keep trudging in the deep dark pits of January but will be very happy when spring comes. New year, a new attitude....... maybe? For men were born to pray and save? It's with O'Leary in the grave. . This is a verse from W.B Yeats famous poem “September 1913” it was published in the Irish times in 1913. In this poem he demonstrates his disillusion with Ireland, he believes her people to have lost their way, and there are no hero’s left. Funnily it was published just under three years before the 1916 rising. I found myself reflecting upon this poem, when I read Tim Pat Coogan's opinion in the Irish Times "Commemorating 1916 : We need to rekindle a spirit of idealism". 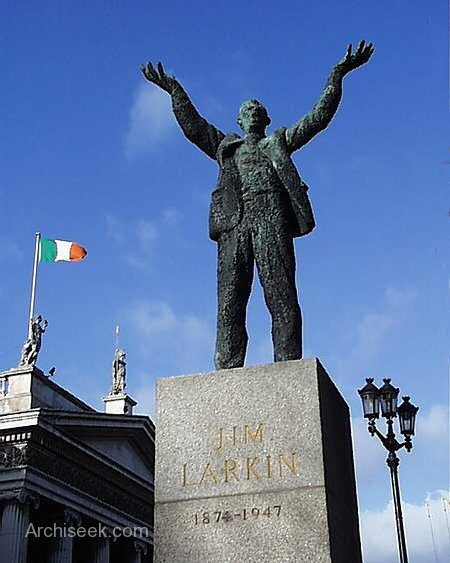 The main theme that stuck with me was the disillusionment of the Irish people. 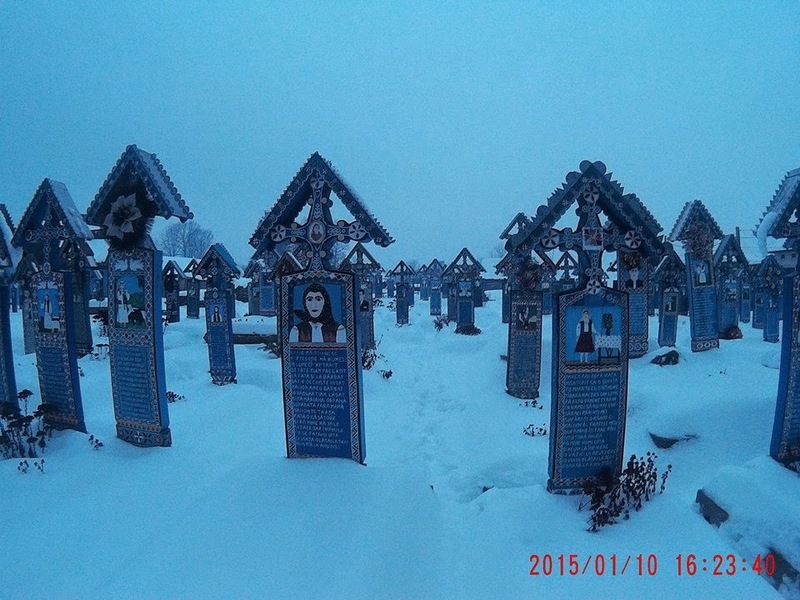 Why you may ask is this being discussed in the blog of a lowly Irish EVS volunteer who is currently living in the out stretches of Eastern Europe. Well I considered myself to be one of Ireland's modern disillusioned youth. This disenchantment with our society is what led me to quit fumbling in a greasy till, adding prayer to shivering prayer that our people and our leaders will finally take decisive actions and responsibility. That they would encourage creativity that once made our country great. As a member of this society I tried to take action in my own way. I joined various creative and start-up groups. But even among likeminded people who were actively trying to create a new attitude and outlook for Ireland often frustration won out. The belief that the rudder of our country was not ours to hold but that of people who took our tax money and demanded more. 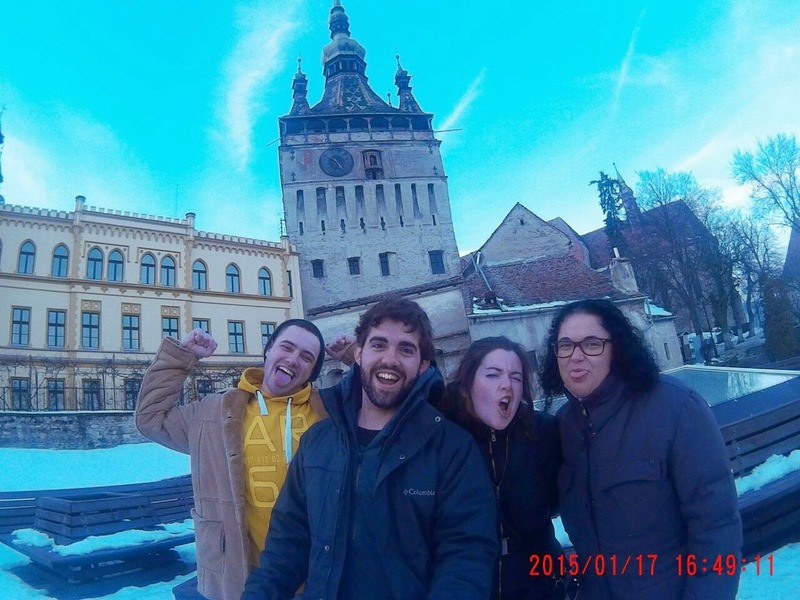 So here I am in Northern Romania , working with the YMCA where I use my skills to engage and encourage the local youth. My daily tasks involve creating activities and events to achieve the goals of the YMCA. I find myself motivated now, the work gives me satisfaction and I am receiving as much if not more than I give! This is far away from the frustration and disillusionment that had seeped into my daily life. The wealth we have created with our events and activities is great, intangible and constantly achieving great returns and their impact is far reaching. The results we achieve cannot be measured , a happier community cannot be summed up with pounds, shillings and pense. Working in this environment has rekindled my energy and idealism. And maybe this is the moral of my blog post. I left a society that was fumbling with its greasy penny’s and sometimes we need to forget these simple measures of success and create something that cannot be measured. Perhaps it will be when we leave behind the constant measurement and examination of outcomes the disillusionment will end. Soon I will be home and I will reactivate my role in society. But what will have changed is my energy and enthusiasm. I can overcome the cynicism and frustration. As they say “a change is as good as a rest”. My change in environment is teaching me many things and I believe that I and many others like me will pry the rudder from those who hold it now and will control the course of our future and that of our country's.